In online video campaigns, simply repurposing a TV spot for the digital audience can be an inefficient exercise when trying to influence potential buyers. So the TriHonda Dealers took a more targeted approach in a Tier 2 digital video blitz covering New York, New Jersey and Connecticut. Hoping to generate traffic for its 61 stores, the association called on Eyeview, a digital advertising firm that can send personalized videos to individual shoppers based on a variety of details it picks up from data providers. These include their locations, what cars they own, websites they've been to and whether they're in the market for a vehicle. The result is a customized ad that speaks more directly to viewers who are ready to buy. For the TriHonda campaign, which took place in the fourth quarter of 2015, Eyeview created 8,800 video variations that compared Honda vehicles such as the CR-V and Accord with competing models. 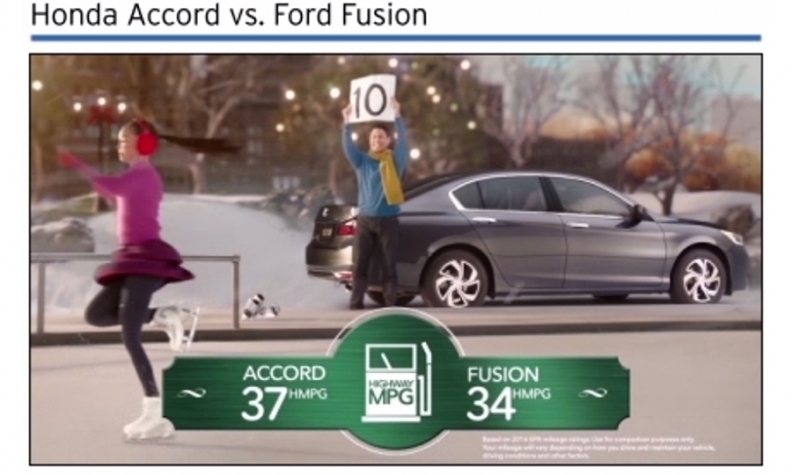 A graphic overlayed on a CR-V video, for example, could show in-market consumers a horsepower comparison with a Ford Escape. 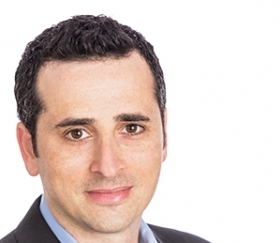 "If we think this is a Fusion owner or potential buyer of a car of that type, we'll take the one ad that we believe is more relevant to them," said Eyeview CEO Oren Harnevo, in an interview, adding: "Depending on who we think is watching, we'll show a different comparison of cars." Eyeview, using geo-targeting technology, added another layer of customization to the online spots with interactive maps that direct viewers to three nearby dealerships based on their locations. "If the ads were going to Union, N.J., they got the three closest Honda dealers to them. That was strategic," said Lee Certilman, executive board member of the TriHonda Dealers Advertising Association. "I think that helped engage the customer to make a choice that was simpler than offering them up five dealers or 61 dealers." Eyeview says its technology automatically rendered the videos in real time. The company builds generic templates, it says, that can accommodate the different elements in each video, including the model and conquest messaging. Personalized videos are homing in on consumers in the luxury space, too. Lexus teamed with ad agency Team One to develop a video campaign for potential buyers last year on Facebook. To support the launch of the NX compact crossover, the agency leveraged campaign automation technology from Unified, a digital marketing company, to produce more than 1,000 individualized videos that targeted an array of audiences with differing tastes. Lexus was able to reach the younger consumer base it wanted through Facebook's audience segmentation capabilities. The campaign's individualized approach meant that a fashion-loving woman living in Los Angeles who owned a BMW received a different video than a man residing in Los Angeles who owned a Lexus and also had an interest in fashion. The Unified Platform's Audience Intelligence software module identified 675 specific audience segments based on information such as interests and demographics on Facebook and augmented them with five custom audiences, said Dave Donohue, Unified’s vice president of marketing communications. Custom audiences, Donohue explained, are based on what an advertiser already knows about its customers from its customer relationship management system, including email addresses and phone numbers. The campaign reached more than 11.2 million Facebook users and drew upward of 10.8 million video views. So did Eyeview's added video personalization actually lead to sales? While this is a question marketers couldn't answer in years past, TriHonda says it didn't have to wonder. Thanks to J.D. Power and Associates' new O2O Analytics tool, which Eyeview used for the first time during the campaign, TriHonda was able to credit the video effort with 912 car sales over a three-month period. The campaign resulted in a 29 percent sales lift for the association's dealers. Because J.D. Power was able to close the loop, the association learned that it achieved a $7.83 return on every dollar spent during the campaign. J.D. Power linked the videos to sales by comparing people who were exposed to the videos against a control group that wasn't. O2O Analytics examines online consumer activity and offline sales data gathered by the Power Information Network. Certilman said, "It's finally getting to the point where you can say, "I ran this ad there' and we can track what this ad did. Even on broadcast or radio, you're winging it. You just hope you're driving traffic."